Lamb & Bear is the creation of designer Alex, who is also a fellow blogger and launched her brand of children's clothing last year. 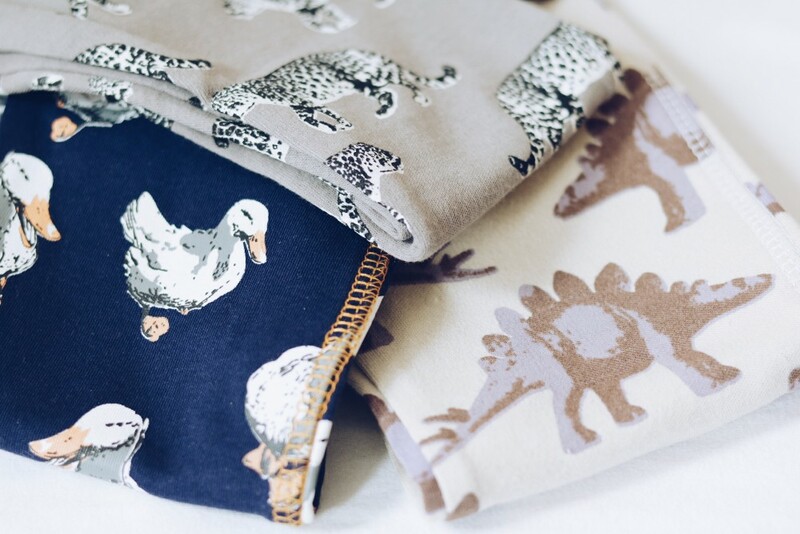 Starting with a small collection of leggings featuring Ponty the Giraffe, Penguin Pals and Quack Quack designs, the range has now expanded with even more prints, matching dribble scarves and coordinating gift sets, plus a fabulous new gift bag option with a super cute gift tag. All of Lamb & Bear's prints are designed by Alex herself, using photos of animals and toys, meaning you won't find her unique creations anywhere else. 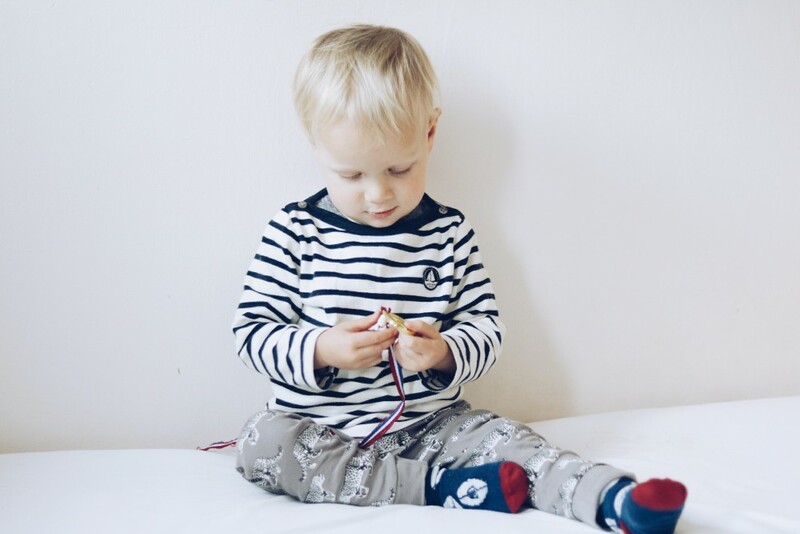 The range is made from 100% cotton and each piece has been designed to be perfectly unisex so that both boys and girls can wear the range. The sizes start at 0-3 months and currently go up to 3-4 years. I'm told that the baby sizes are true to size, while the toddler sizes have a more generous fit. J has just turned two, and wears size 2-3 years in clothes. 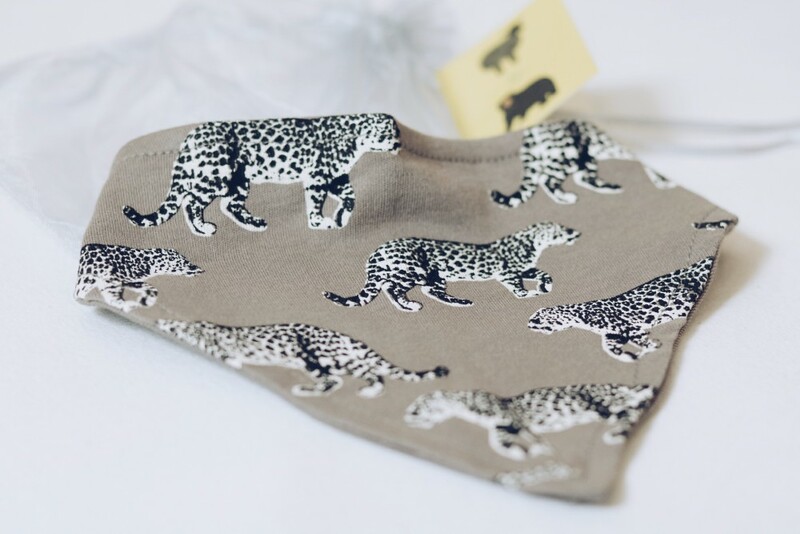 He has three pairs of Lamb & Bear leggings (£16.00): we were sent Quack Quack in Eclipse and Leopard Prowl in Snow Leopard to review, and I also ordered a pair of Stevie Stegosaurus in Purple Rain. I love the prints, they are fun but stylish and so very different to anything else around, and I adore the contrasting stitching along the outer leg. They all fit J really well. They are slightly loose on the waist as really he is only just in size 2-3 but that is fine by me as I would rather that he has room to grow. They have a slightly looser fit compared to most of our other leggings and have elasticated cuff on the ankles which I love as I can't stand when his trousers hang over his shoes. As a cloth nappy user I'm often asked whether clothes are cut for cloth or not. For those of you wondering, yes, these leggings are ideal for a cloth bum! I've just realised that J is wearing the exact same jumper in all of these photos, despite them being taken on different days. I just really love this one and tend to put him in it at every opportunity. He does have different tops, honest! Alex also sent me one of the new Lamb & Bear dribble scarves (£5.00) to check out. The scarves are available in four different designs: Leopard Prowl in Snow Leopard and Midnight Leopard, Croc Croc in Oasis and Stevie Stegosaurus in Purple Rain. You can get these on their own or part of a four-pack set. They are made with double-layered cotton and do up with velcro. They're suitable for approximately 3-18 months so I am putting this one away for when Pip arrives in a few months' time! 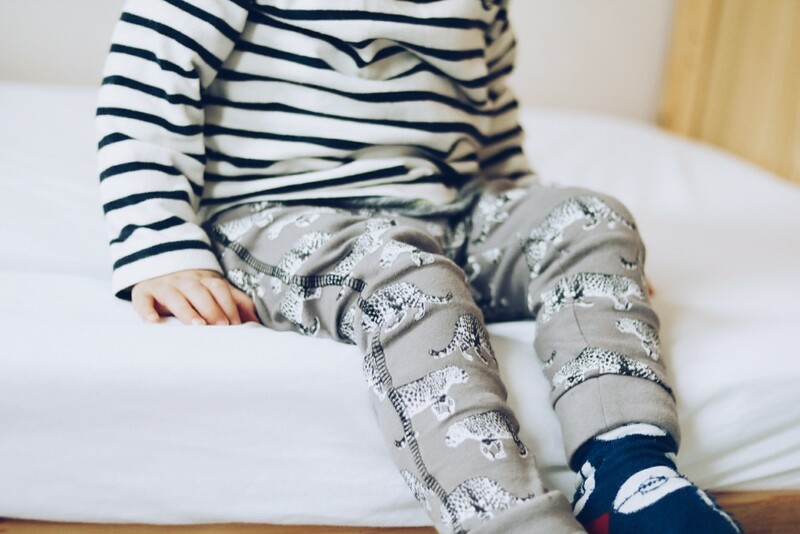 I love these leggings and will definitely be adding more to the boys' wardrobes in future. 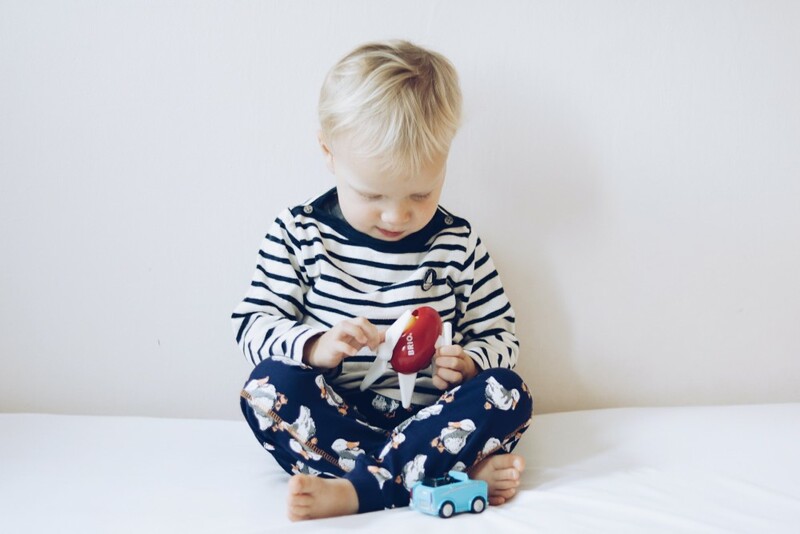 By the way, Lamb & Bear are currently searching for brand reps so if you're on Instagram, love kids' fashion and have an eye for photography make sure you enter! precious line, great pics! I need to up my game when it comes to the pics. 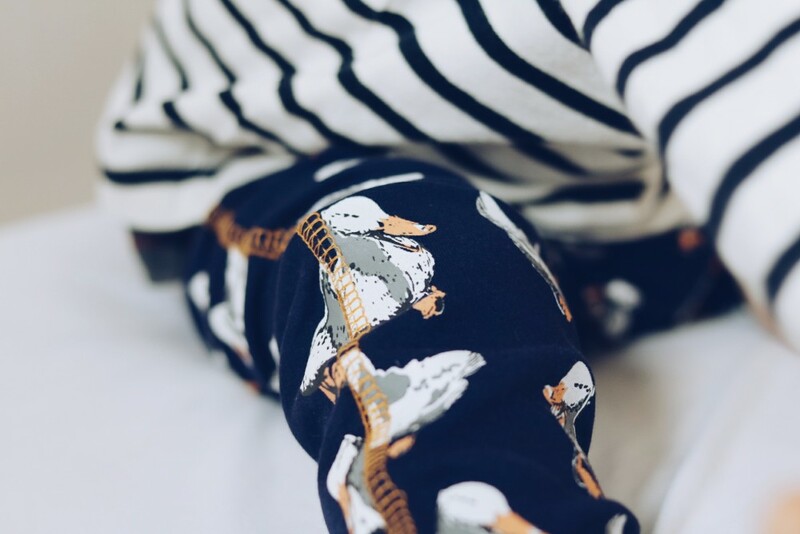 I'm in love with the duck print! I've not heard of this brand so I feel that I need to go and check them out! Great review! Really cute clothes! I wish my little boy was younger and I would order him a pair!